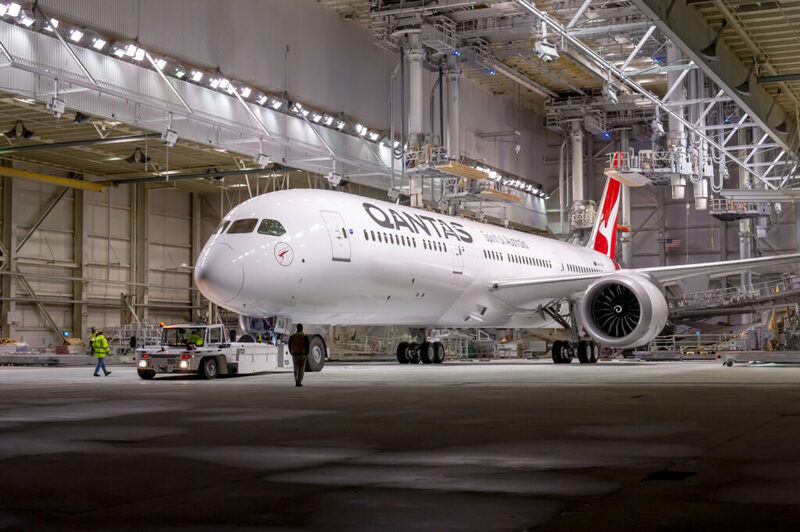 The first Qantas 787 has rolled out of the factory, this 787-9 will operate the world’s longest route from London (LHR) to Perth (PER). This more than 9,000-mile long route will take a whopping 17 hours and 30 minutes to fly on an average day. 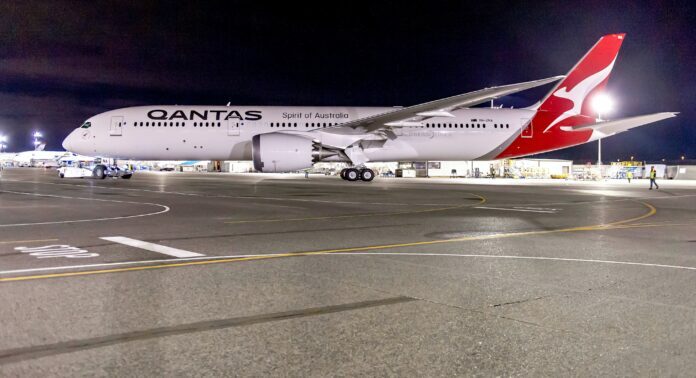 Just the first of eight Qantas Dreamliners they will fly a variety of routes but with the range of the 787-9 this is the perfect route for this aircraft. Boeing has done an outstanding job marketing this aircraft as a comfortable long range flyer. While Airbus decided to go big for the A380, Boeing decided to go for the mid-range long haul flyer to directly connect airports all around the world that may not have even seen international traffic. With its carbon fiber haul it allows the cabin altitude to be much lower improving passenger comfort and increasing humidity. Qantas has an aging 747 fleet that will need to be replaced in the coming years, they’ve already chosen to replace most with the A380 but I believe after Qantas sees just how good the 787 is they will order more and connect more airports to the island nation. The problem with the A380 is that you need to fill the massive plane to make a route reliable and make the airline money. 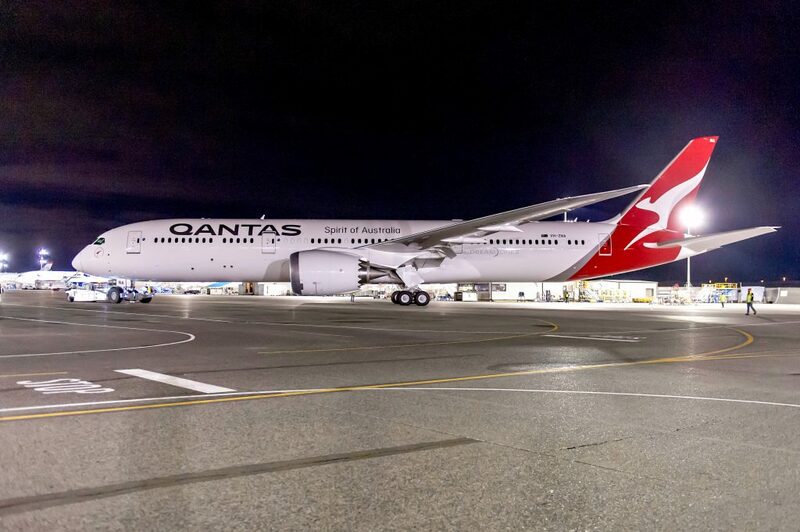 The 787 opens up to Qantas to take on smaller route that they may not be able to put an A380 on while adding more revenue to the company. This aircraft is configured in a three-class configuration with business, premium economy, and economy seats. There will be 42 business class seats that are set up in a 1-2-1 configuration, 28 premium economy seats in a 2-3-2 configuration, and 166 economy seats in a 3-3-3 configuration. With a flight that’s 17 hours and 30 minutes long I would not want to be stuck in economy that long. I would probably much prefer to sit in business or at worst premium economy for the duration of the flight. Previous articlePost Wells Fargo Fake Accounts Scandal — How is Signing Up For A Wells Fargo Account? Next articleMetal American Express Business Platinum Now Available!